Digitization and the American Workforce, a report released in 2017 by the Brookings Institute, revealed that in 2002 roughly 45% of jobs required medium (40%) to high (5%) digital skills. By 2016, the share requiring medium digital skills alone had risen to 48%, while the share requiring high digital skills had exploded to 23% (Muro et al., 2017). Faced with these statistics and the fact that many of the remaining 29% of jobs today still require some low digital skills, efforts by the College Board and policy-makers to make computer science (CS) a high school graduation requirement seem logical (Sawchuck, 2018). Making CS mandatory rather than optional hopes to put more youth on track for high paying jobs, fill growing gaps in the workforce, and correct gender and racial disparities in the tech industry. Yet 60% of K-12 schools are not prepared to even offer CS due to shortages of qualified teachers, adequate equipment or both (Google Inc. & Gallop Inc., 2016). CS is often narrowly seen as synonymous with coding or programming as many states lack a guiding CS framework. The ill-prepared push for CS in K-12 has resulted in some districts simply offering high school classes in CAD or Photoshop (Guzdial, 2014). 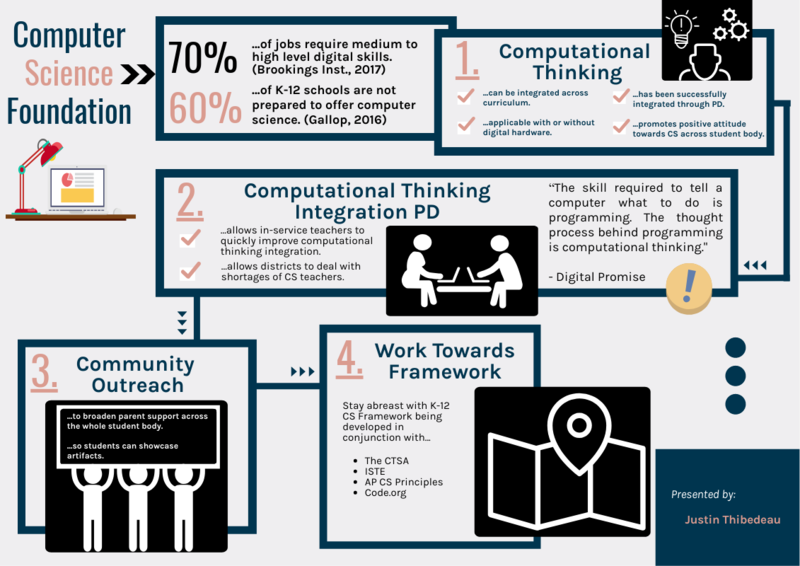 How can all schools, no matter how ill-equipped, move towards better CS policy where students and teachers utilize computer science across subjects rather than just use computers? Mandatory CS should wait till it can be offered responsibly to everyone, but K-12 students need not wait to use the crucial problem-solving processes behind CS known as computational thinking (CT). A report from Digital Promise, a non-profit, states that, “the skill required to tell a computer what to do is programming. The thought process behind programming is computational thinking” (Cator et al., 2018, p.19). According to the International Society for Technology in Education (ISTE), CT “develops and employs strategies for understanding and solving problems in ways that leverage the power of technological methods to develop and test solutions” (Valenzuela, 2018). As a method of approaching problems, CT can be integrated across curriculum, can be applied with or without digital hardware, has been successfully adopted by in-service teachers through professional development workshops, and if taught at a young age can promote a more positive attitude towards CS across diverse student bodies (Freeman et al., 2017). Computational thinking is nearly synonymous with critical complex thinking with added emphasis on data analysis and pattern recognition and results of teacher professional development in CT integration have been promising (Freeman et al., 2017). In conjunction with this phase, universities should begin including CT integration in teacher training programs as this has proved effective in changing attitudes. Informative community outreach to change parent attitudes is also necessary to increase encouragement from home. The first steps in CT utilizing devices should focus on tools students are already familiar with, like Google Sheets, in order to advance students’ abilities leveraging these tools. During the initial two-year phase of CT integration, identify teachers who excel to become leaders and consider some level of recognition or certification to make up for shortages of credentialed CS teachers. Lastly, push the state to consider adopting the K-12 Computer Science Framework developed by leading organizations and other states. 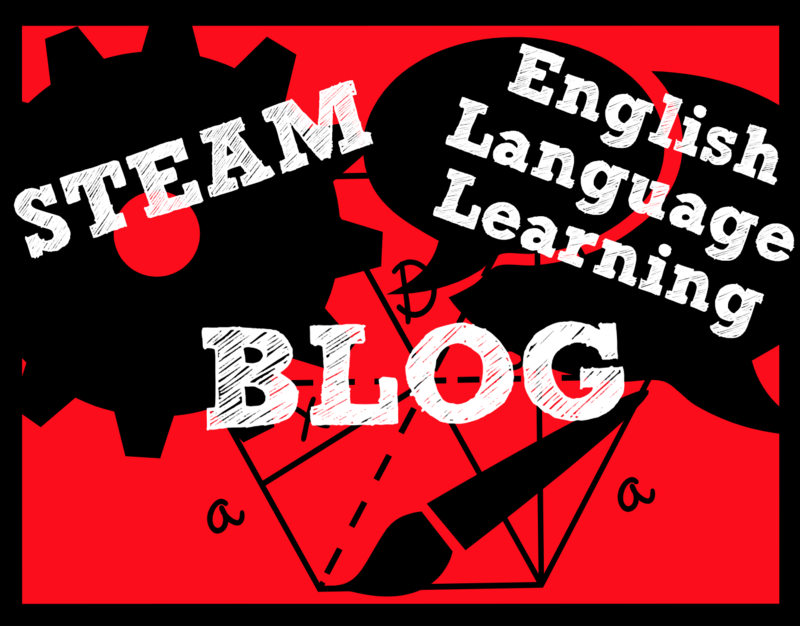 This entry was posted in Educational Technology and tagged education system, Educational Technology, learning. Bookmark the permalink.